I’ve got a special place in my heart for girl moms … it’s not an easy job and yet it’s also one of the most fun hats we get to wear. There’s nothing like being mom to a daughter. It’s equal parts exhilarating and exhausting. And I wouldn’t trade it for the world. She’s in her first year of college and I still can’t imagine where the years have gone. But I’m amazed when I look at her and see the young woman she is becoming. I can’t take much credit — it’s the Lord moving in her — but it’s beautiful to watch Him at work in this girl I love so much. All of that to say, I know how hard it is to raise a girl who likes you most of the time and loves the Lord with her whole heart. And I want to come alongside you, not to give you a fool-proof plan (no one has that, by the way) but to remind you what good work you are doing and not to lose sight of the end goal. I wrote a book for us. 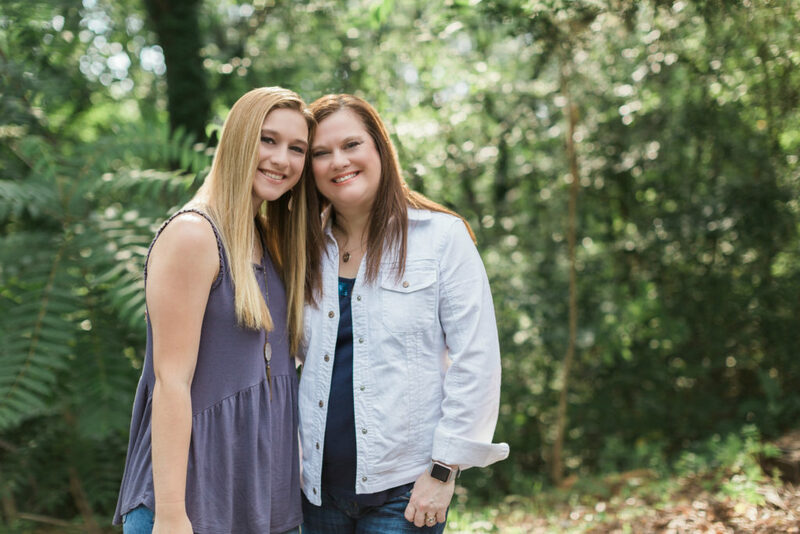 For all us moms who wonder what and how to pray, for all us who stay up late whispering sentences to the Lord, for all us who long to see our girls fall in love with Jesus. Praying for Girls: Asking God for the Things They Need Most is for all of us who want to pray but feel overwhelmed and uncertain. You can learn more and order your copy here. I’d also love for you to check out the Powerful Prayers for Our Daughters Reading Plan on YouVersion. This five-day plan includes a devotion, Scripture reading, prayer, and conversation prompt. You can access the plan and get started with it right here. I have a group for us. #girlMOMS is a private Facebook group where you can find encouragement and equipping, pep talks and prayer warriors. On Wednesdays we chat about all things raising girls and sometimes just about being grown up girls. Sometimes I invite one of my mom friends to join me for these MOM TO MOM conversations where we talk about the real stuff we’re facing as moms in this crazy world. But the main reason you want to be in this group is all the other moms. The wisdom, insight, and inspiration you will find is astounding. Join #girlMOMS here. Every month I send out a Scripture-based prayer calendar just for girl moms. We’ve prayed through several books of the Bible and spent months praying for specific qualities and traits in our daughters. And I also send out a weekly email curated just for girl moms. The best blog posts I’ve read, books to inspire and equip, behind-the-scenes information about what’s going on in the #girlMOMS group, resources just for moms, and more. It’s easy to get all of this — simply fill out the form below and choose either the weekly or monthly emails or both. And we have a fun shop! 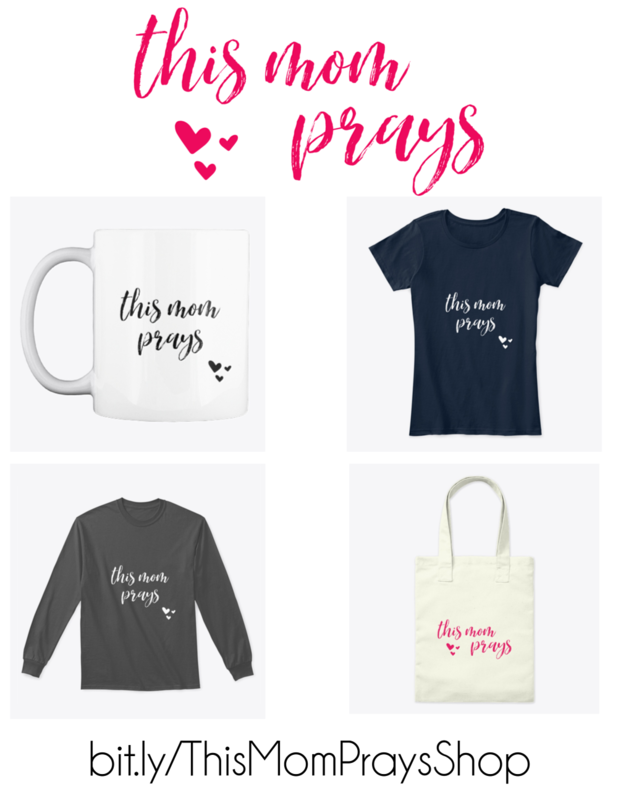 Check out the brand new THIS MOM PRAYS shop! You can get cute tee shirts as well as fun mugs and totes to let the world know you are a praying mom! And, since we just opened the shop, everything is at a fantastically awesome price!! What are you waiting for … go shop! Use code GIRLMOMS for a 10% discount! !